( I am so sorry about the picture quality. 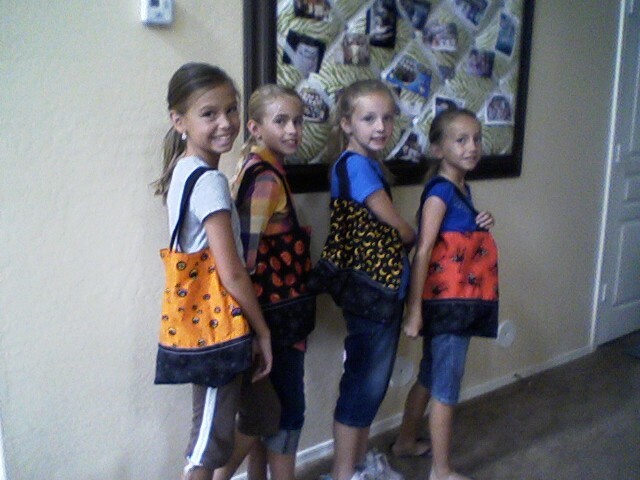 These girls are ready for trick-or-treating. cute ribbon to finish it off. All they need to do is add the candy! Great idea!! Thanks for the post! I am now going to make my kids' bags since the store bought ones are so expensive and not that cute. I adore a trick or treat bag tradition!Chloe has one from when she was 1 year old! !Sista #5 made it (she was only 12! )and each year Chloe poses with the bag for a photo!